I just bought SVOLVAER and i have a strange issue. When I taxing on ENSH I have around 30 fps but as soon as I am close to the terminal my fps drop to 12 - 15. Do you have any idea how to solv this problem ? I cannot recreate it here. 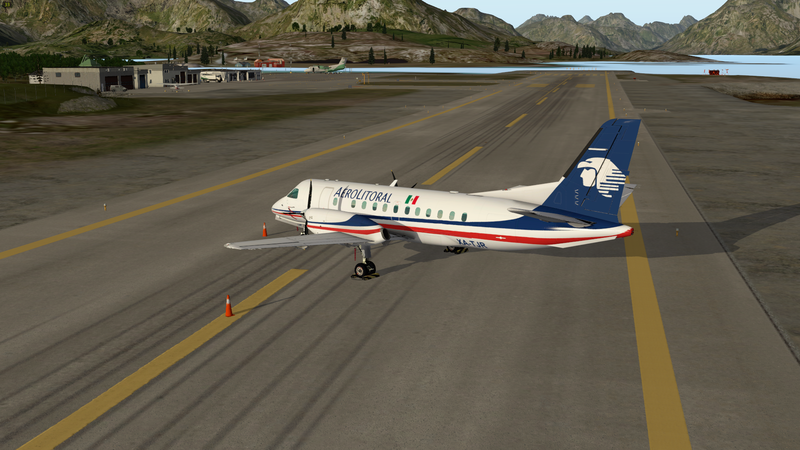 I have used Svolvaer ENSH for X-Plane 10 with X-Plane 10.51. It is important to use XP10.51 (the last stable version). 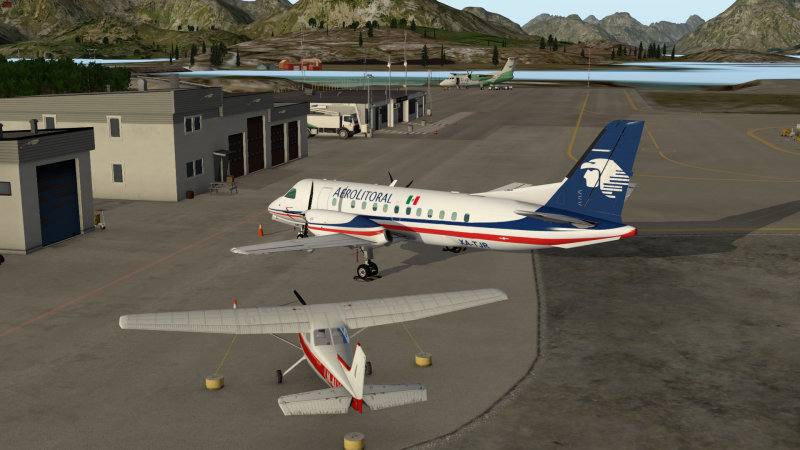 Be sure to have downloaded the X-Plane 10 version of Svolvaer. And be sure to have the two folders (scenery and Mesh) installed in the correct order. (see the manual). Can you send a screenshot from the position of the framedrops please. And please send the Log.txt file as an file attachement. You find it in the installed X-Plane 10 folder. But please close X-Plane 10 before with the menu. Thank Heinz for your quick answer. I will send you screenshot end log.txt as soon as possible. As you can see on the first screenshot I'm close to the terminal and I have 15 fps et the second one, on the middle of the runway, not so far to the terminal, I have 33 fps. Thank by advance for your help. danke für die Bilder und die Log.txt. Laut Log.txt stimmt aber etwas mit deinem Custom Scenery Ordner nicht. Da fehlt die Datei scenery_packs.ini (oder ist leer oder nicht lesbar/schreibbar). Die Datei ist wichtig, da danach die Scenery Reihenfolge festgelegt wird nach der X-Plane 10 die Szenerien lädt. Das muss erstmal bereinigt werden. Falls es im Custom Scenery Verzeichnis eine scenery_packs.ini gibt, dann entferne sie dort einmal (irgendwo sichern) und dann starte X-Plane 10 wieder. Dann sollte die Datei neu geschrieben werden. Du verwendest zwar X-Assign, aber ob das die richtige Reihenfolge erstellt kann ich nicht sagen. Ich kenne das Plugin hier nicht (bzw. habe es nicht installiert). Du hast ja sehr viele Szenerien installiert. Vielleicht einmal den Custom Scenery Ordner entfernen (vorher sichern) oder umbenennen. Hier ein Post zu korrekten Handhabung des Custom Scenery Ordners und der ...ini Date falls noch nicht bekannt. Thank a lot Heinz for your answer. Sorry for my bad English, but i should say that a don't know anything in german. Google Translate helped me to understand the ame of your answer. I'll try your solution and see if it's solve my probléme. I did several test with no other scenery and no plugin but unfortunately nothing change. There is always a huge drop of fps close to the terminal. Could it be a problem with some objects in this scenery ? Have you other report of same problem ? thanks for the pictures and the log.txt. According to Log.txt, there is something wrong with your custom scenery folder. The scenery_packs.ini file is missing (or is empty or unreadable / writable). The .ini file is important, because with it the Scenery order is determined after the X-Plane 10 loads the sceneries. This has to be cleaned up first. If there is a scenery_packs.ini in the Custom Scenery directory, remove it once (save somewhere) and then restart X-Plane 10. Then the file should be rewritten. Although you use X-Assign, I do not know if it do the right order. I do not know the plugin here (and have not installed it). You have installed so many sceneries. Maybe change the name of the Custom Scenery folder ore remove it to another loacation (previously backup it) is an idea. Here is a post about correct handling of the Custom Scenery folder and the ... ini date if not yet known. Although you use X-Assign, I do not know if it do the right order. X-Assign does not touch the scenery_packs.ini in any way. It saves up to 3 global plus 3 per aircraft keyboard and joystick configurations. I'm little bit disappointed. I reset all my preference, I removed all my plugins and scenery, I reinstalled ENSH scenery twice with the latest version of XP10. But unfortunately I have the same problem. It's like there is a curupted file. I have some huge secenry that impact my fps, but the fps drop evrywhere on the airport no just at one point like this. I realy love this scenery that why I'm so disapointed to be unable to use it. I really hope you'll be abale to help me. Please deactivate your Svolvaer Airport and Mesh with the scenery_packs.ini file. You can do it with opening the scenery_packs.ini with a small editor (for example the windows editor). X-Plane 10 must be closed. Then check the problem again. There is a mesh Tool with Svolvaer. You find it in the installed Svolvaer folder. Because you have installed the Alpilot Mesh V3 you shall set the mesh tool for that. Also check the Aurora Tool. I checked all the configurations you proposed but nothing change. If the problem existst without Svolvaer installed (DISABLED) then it seems to be an Global mesh (X-Plane 10) issue. Thank for your quick answer. I forget to say in my previous post without Svolvaer installed i had no fps problem.